The Brookeville Schoolhouse dates back to the early 1860’s and is one of the few remaining schools that were present at the inception of Montgomery County Public Schools. Montgomery County Public Schools purchased the building from the Trustees of the Methodist-Episcopal Church that was located on what is now North Street. 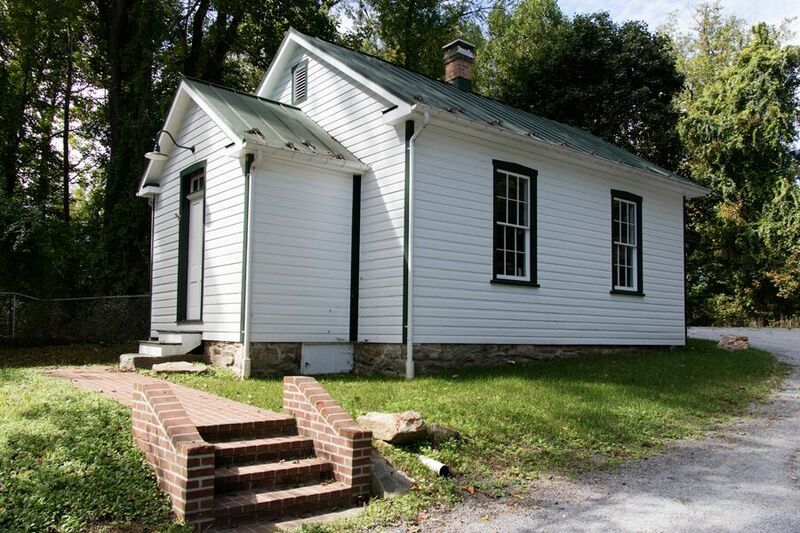 The Brookeville Schoolhouse is a classic example of the first one-room public schools and was in continuous use until the 1920’s when it was replaced by a new, larger school. After that, the building was used a private residence and was abandoned for several decades. The Town of Brookeville acquired the property from the estate of Dr. Howell J. Howard, Jr., whose parents were African-American educators who taught in Washington, D.C. and Montgomery County. In 1997, the Town of Brookeville received a $1,000 grant from the Montgomery County Historic Preservation Commission to develop a restoration plan for the building. 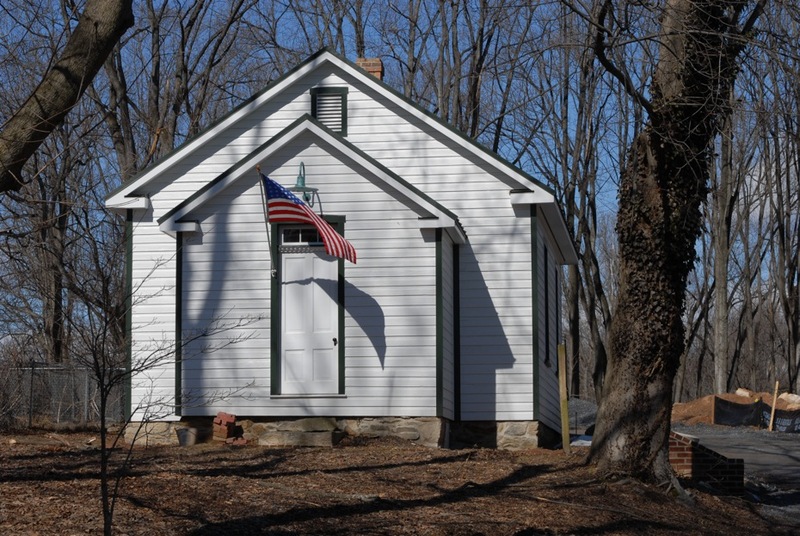 In 2001, a small Save the Brookeville Schoolhouse Committee (SBSC) was formed to manage the project and ultimately develop recommendations for how the restored schoolhouse will be used. The SBSC organized and held a very successful and energetic “volunteer day” in November 2001 to clean out the interior of the building, do site clearing, excavate around the foundation, and meet other volunteers. Volunteers came from not only within the town but also from all over the greater Olney, Sandy Spring, Brookeville area. In 2003, The Town applied and was awarded a grant from the Maryland Project Open Space Program for $17,000 for the restoration project. At the same time, the Town had budgeted a total of $27,000 in capital funds toward the project in the 2003-2004 budget. The rehabilitation was completed in 2004 with some work stretching into 2005. In 2004, the restored Brookeville Schoolhouse won a Montgomery County award for historic preservation. Miche Booz, AIA, a town resident provided pro bono architectural services for the rehabilitation. He was awarded the Outstanding Architect Award for 2004 by Montgomery Preservation, Inc. 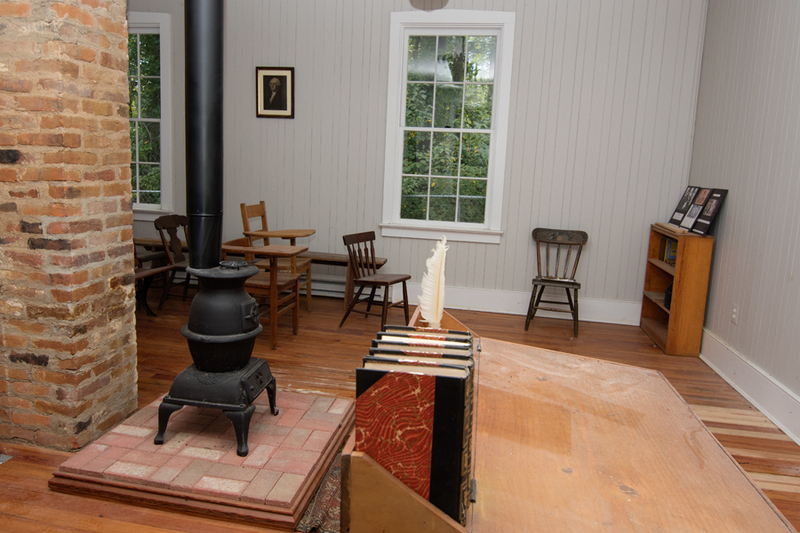 The schoolhouse now functioning as a one-room schoolhouse museum and is open each year for Heritage Days as well as other special occasions. Heritage Montgomery and the Town of Brookeville have partnered together to designing and implementing a program focused on the early 1800s history of the Town’s Quakers, especially as it relates to slavery, the anti-slavery movement, and the free black population. The program will form an integral part of a more significant effort involving Woodlawn’s (stone barn) Visitor Center and Oakley Cabin, primarily geared to educating school groups.